Congratulations goes to Emily Proctor on passing her driving test Friday 4th January. 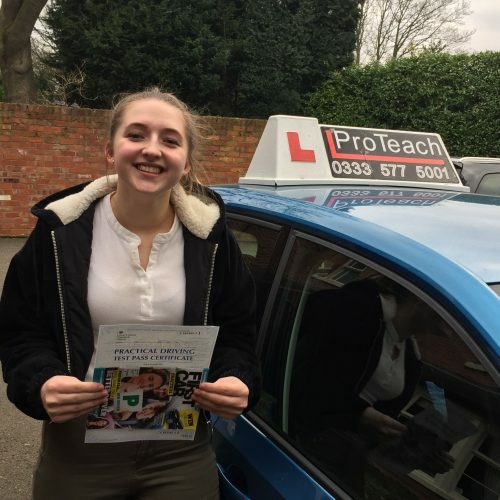 Emily was the first pass of the year for ProTeach and the first of many. Emily from Ashby took an intensive course with our specialist Bob and passed with just 3 driving faults. She is now looking forward to getting around in her Vauxhall Adam. Well done again from Bob and all the team at ProTeach Driving School.